You have a shipment of product being imported from China arriving in Miami but you need it at your warehouse in Chicago, what are your choices? You may have the product unloaded at the port and reloaded into a cargo van and then shipped by way of truck to your destination, or you can keep in in the container and ship it by rail. 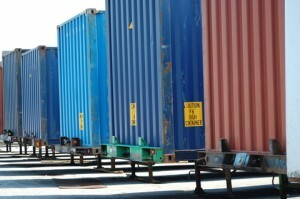 Intermodal is the movement of ocean freight containers by various transportation modes. 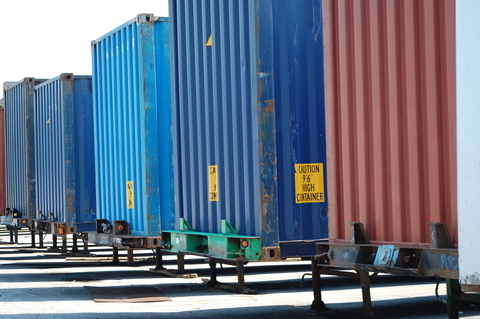 The fact that the containers are of the same size and have common handling characteristics permits them to be transferred from truck to railroad to air carrier to ocean carrier all without being opened and the product handled. The primary result being reduced claims. Intermodal is an ideal form of transportation for imports, exports, cross continental shipments for example from Miami, FL to Portland, OR. This simplified for of transportation can be a key to success in any supply chain management or logistic plan. Many freight forwarders favour intermodal transportation because of lower cost and increased security of the products being transported. Intermodal transportation is actually one of the top five trends impacting the transportation industry today. For the past couple of years, the transportation industry has been hit with driver shortages, increased demand, shrinking truck capacity and increased fuel prices. This is forcing shippers who would otherwise refrain from using multiple modes of transportation to rethink their logistic strategies. Other reasons intermodal transportation is gaining momentum include: cost savings, environmental benefits, and highway safety results. Shippers can take advantage of lower rates, more predictable pricing, and the flexibility of loading and unloading goods in a dropped trailer environment, which reduces handling costs. This significant cost savings can greatly outweigh the speed by which shippers can move their goods via truck. In addition, as the U.S. continues focusing green initiatives, intermodal is seen as a more environmentally friendly mode of transportation. Trucks emit an average of 20 lbs. of carbon dioxide per 100 ton-miles, at the same time trains only emit an average of 5 lbs. By using intermodal transportation, companies can significantly reduce their carbon impact. Intermodal transportation also provides shippers more access to equipment and standardized transit schedules. This translates into reliability, capacity and safety advantages. As companies move their freight to intermodal, they will also be able to streamline their reverse logistics and increase control of their supply chain management. When looking at logistic strategies to deal with tightening truck capacity, company executives need to seriously look at how intermodal transportation can benefit their business. It provides significant cost savings, increased reliability, greater capacity, and offers substantial green and safety advantages.